Whether about acclaim, expertise, money, or hype, Thought Leadership is a growing industry. It’s no accident that this is happening even as cyberspace suggests faster is better, anonymous counts, and civility does not. The term’s popularity reflects the increasing rare blend of communication skills, expertise, emotional intelligence, vision, and implementation know-how. While this skill set is not entirely unfamiliar to leaders, it’s a combination that is withering on the internet vine. Thought leadership requires being able to leverage your own ideas into frameworks made simple for others to follow. Thought leadership means being able to voice ideas, concepts or life questions in ways that help others make sense of them and/or contribute to a better understanding, development or actualization of an organization or community. 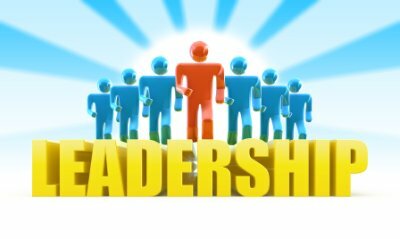 A Thought Leader is a conscious leader with a high level of emotional intelligence, serving and growing at a higher level. Based on these quotes on Thought Leadership, how does an organization develop training that produces these leaders? How do they create what are essentially futurists who can communicate complex ideas, demonstrate emotional intelligence, and actively contribute to the organization’s growth and success? The answer lies in a four-step process with each stage being both stand alone and sequential. Communication: Leaders must be aware that every detail of communication matters. Each detail changes the context, the perception, and the response in an interaction. Whether written, verbal or nonverbal, or just the tone of voice, we are always on stage. Further, the cultural expressions and idioms we use every day are shorthand for the full range of our beliefs, traditions, and values. Awareness and sensitivity to the cultural context are the building blocks of cultural competency. A lack of awareness and sensitivity can lead to a train wreck on the knowledge highway between team members, customers, and vendors. Emotional Intelligence: Some call it learning to work outside of your comfort zone, others refer to this as conflict management. Given the elevation of snark to unprecedented levels on social media and throughout our social interactions, Emotional Intelligence must include both and more. Thought Leadership requires a self-awareness that is nuanced, in-depth, and disciplined. There needs to be multiple levels in our comfort zones. The levels become a commonly shared metric not only of inner discomfort but of the severity of interpersonal conflicts. Blend awareness of inner and external stressors and crises can be anticipated and redirected. Vision: Change agents, futurists, and innovators are at a premium today. These innovators’ expertise is fundamental to their talents, but it does not stand alone. To be believable and actionable, a vision should also be trustworthy. Visionaries must establish and continually reinforce their dependability, accountability, and responsibility along with the traits of empathy, hope, and fairness. An impactful vision not only draws on the logic of ideas, but also on the faith and values of beliefs. Action Plan: When communication expertise, emotional intelligence, and vision are folded into the planning process, Thought Leadership emerges. The decision-making matrix of goals, objectives, tasks, and timelines blends the three elements into an actionable reality for team building, engagement, and collaboration towards a common goal. nice article Deborah Levine. enriching indeed! enjoyed read and shared. thank you for the post. Thank you, Debasish. I’m delighted that you enjoyed the article and found it enriching.